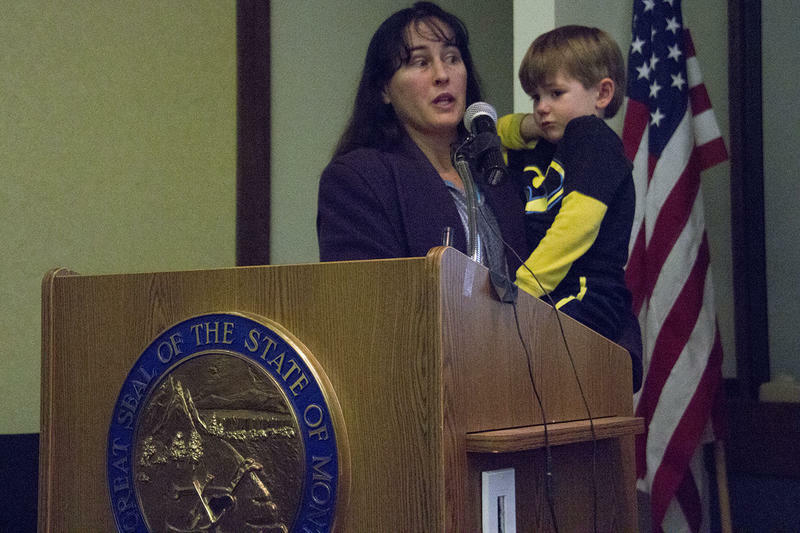 Vicki LaFond-Smith, mother of two sons with disabilities, Beth Brennaman, staff attorney with Disability Rights Montana , Jackie Mohler, staff at Family Outreach at a Helena, MT press conference on Health Department Funding, Monday, February 26, 2018. 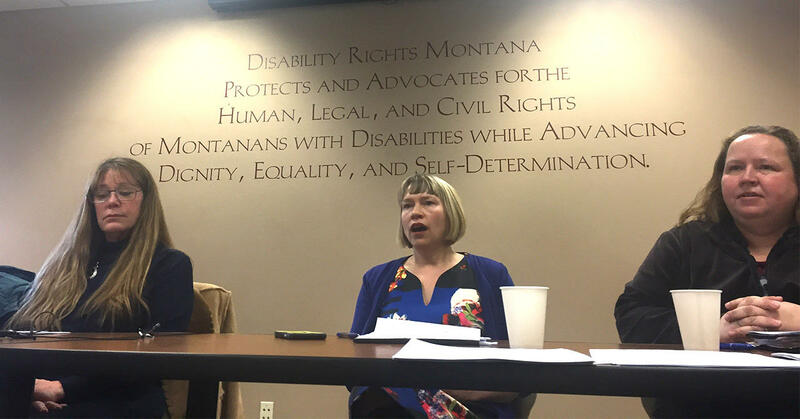 Advocates for people with disabilities held a press conference in Helena, Monday in a plea to the governor for an immediate supplemental appropriation to reduce the impact of cuts they say are taking away vital healthcare services. Beth Brenneman is a staff attorney with Disability Rights Montana. 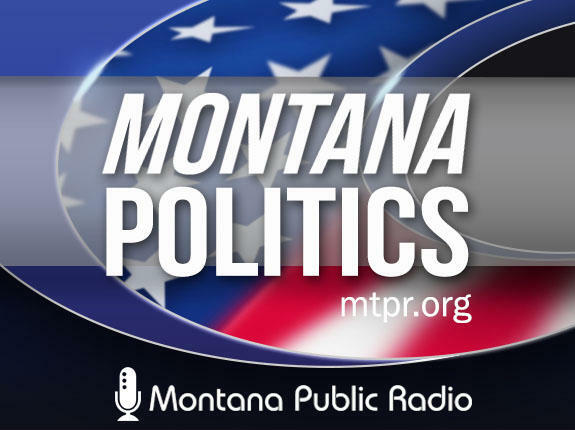 "These cuts are so substantial that they are going to dismantle the community services system throughout Montana and make it very difficult for us to build it over again," Brenneman says. 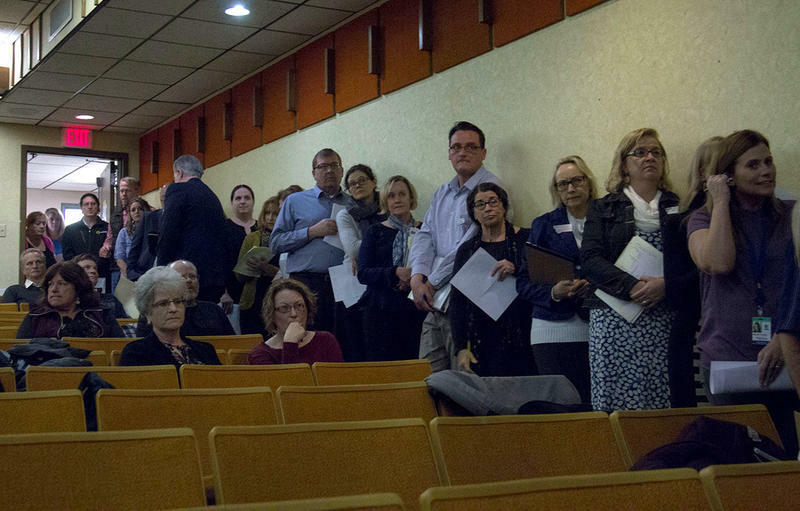 The advocate group’s ask for a supplemental appropriation would mean borrowing money from the state’s future budgets in order to plug the current need. 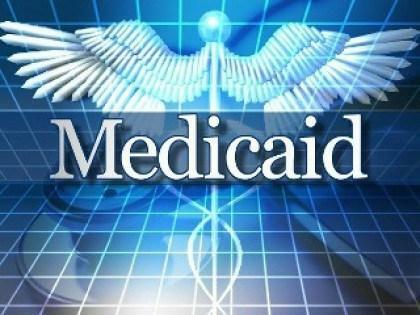 In order to get spending in line with expected revenues, the health department is reducing Medicaid provider rates by about three percent, cutting day-to-day funding help for people with disabilities, as well as reducing other Medicaid services for the poor, disabled and elderly. However, Dan Villa, the governor's budget director, says a supplemental appropriation isn’t possible to put money back into those services. "We couldn’t do it under the law." Villa says borrowing money from future budgeting years can only be done due to an unforeseen and unanticipated emergency. 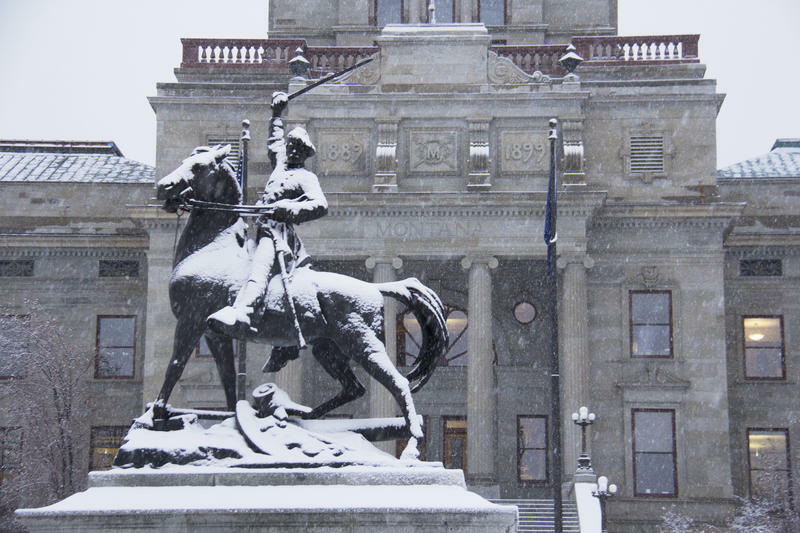 Villa blames the Republican controlled Legislature for putting Governor Bullock’s proposed budget cuts in statue, as one of reasons for the lack of flexibility room in this situation. Disability rights advocates on Monday also pointed to another provision they hope could offset some of these cuts. Legislators passed another law in the November special session that would allow the governor to put money back into Medicaid services if state revenues come in higher than projected during this fiscal year. If that happens, the health department could see more than $30 million plugged back into the agency by mid-August. Villa says state revenues would have to come in about $40 million above his office’s previous projection for that to happen. And he says right now, it’s too soon to tell.